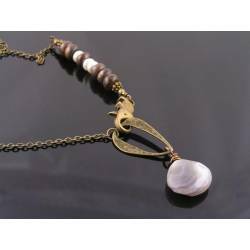 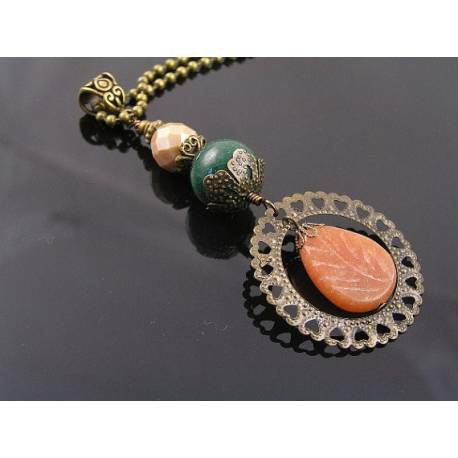 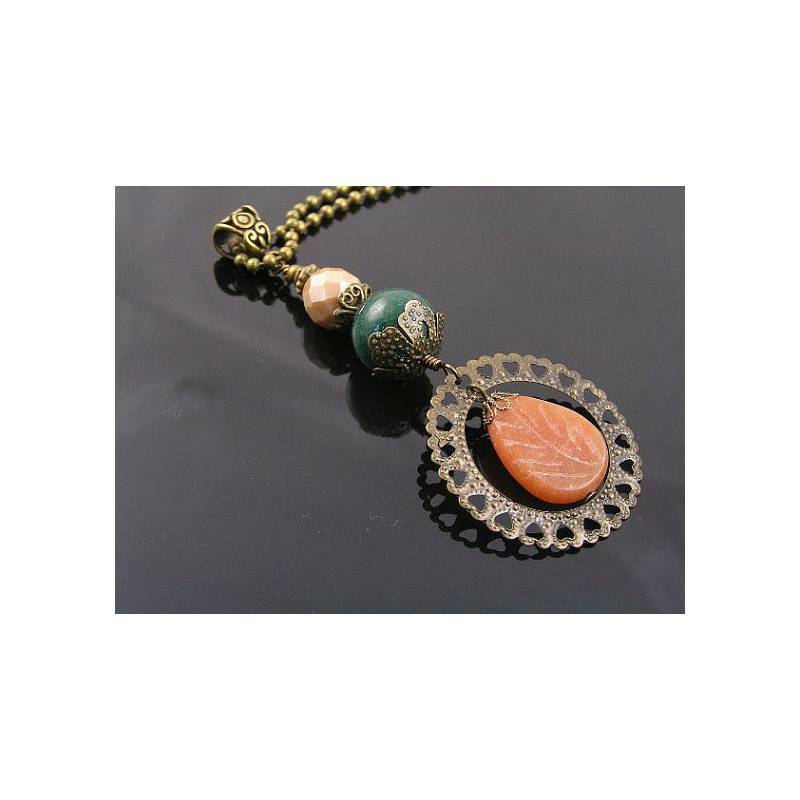 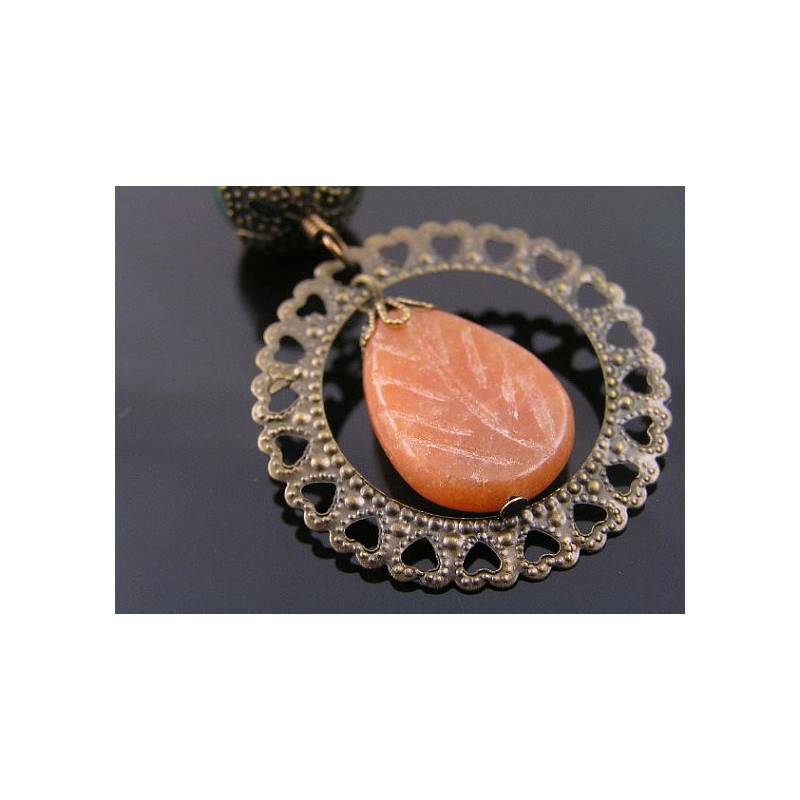 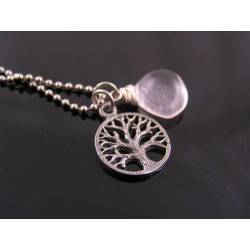 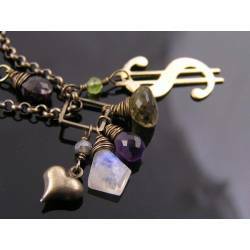 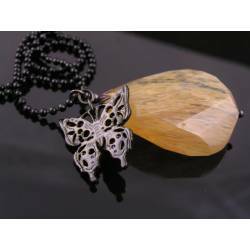 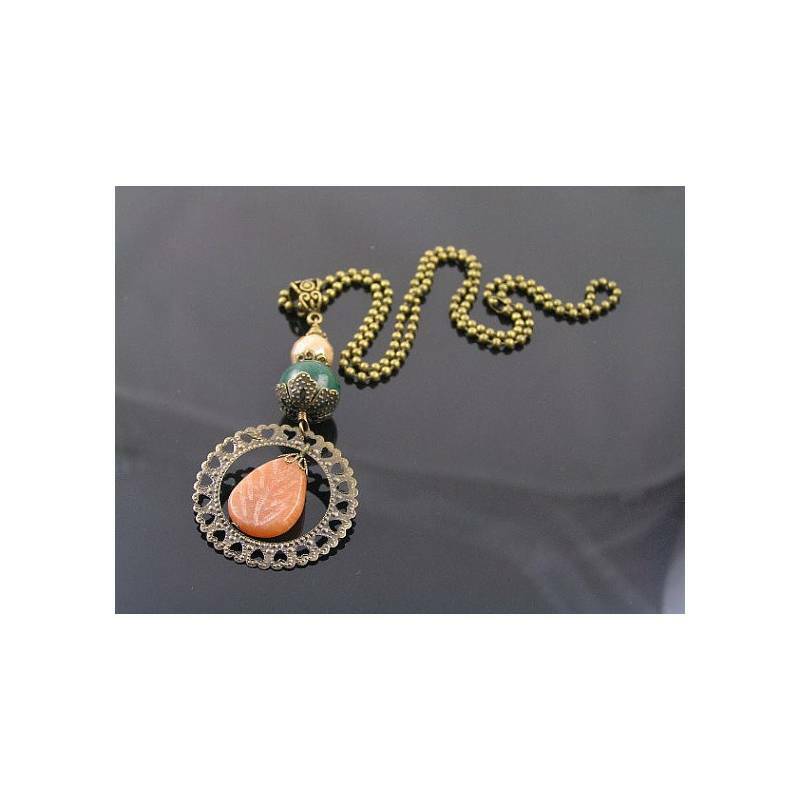 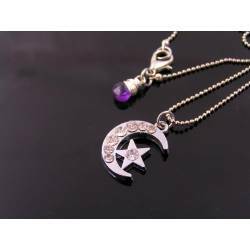 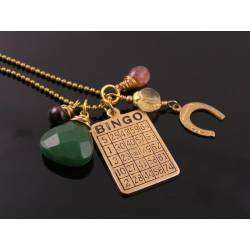 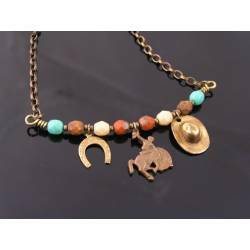 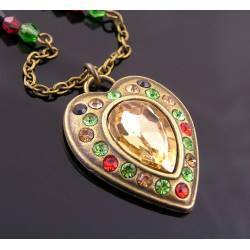 This bohemian necklace features a hand carved Peach Aventurine leaf which is dangling inside of a heart filigree circle pendant. 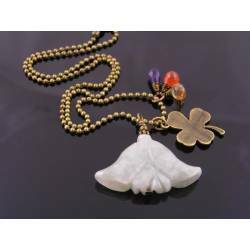 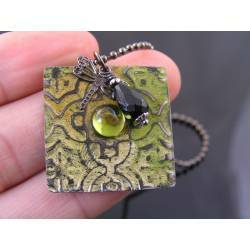 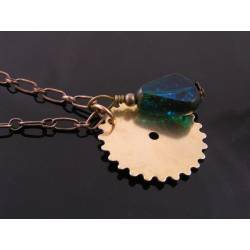 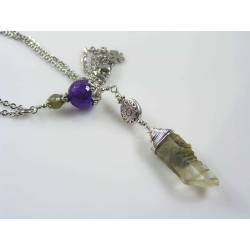 The pendant is suspended from a link including a dark green Mountain Jade bead and a faceted pearly Czech glass bead. 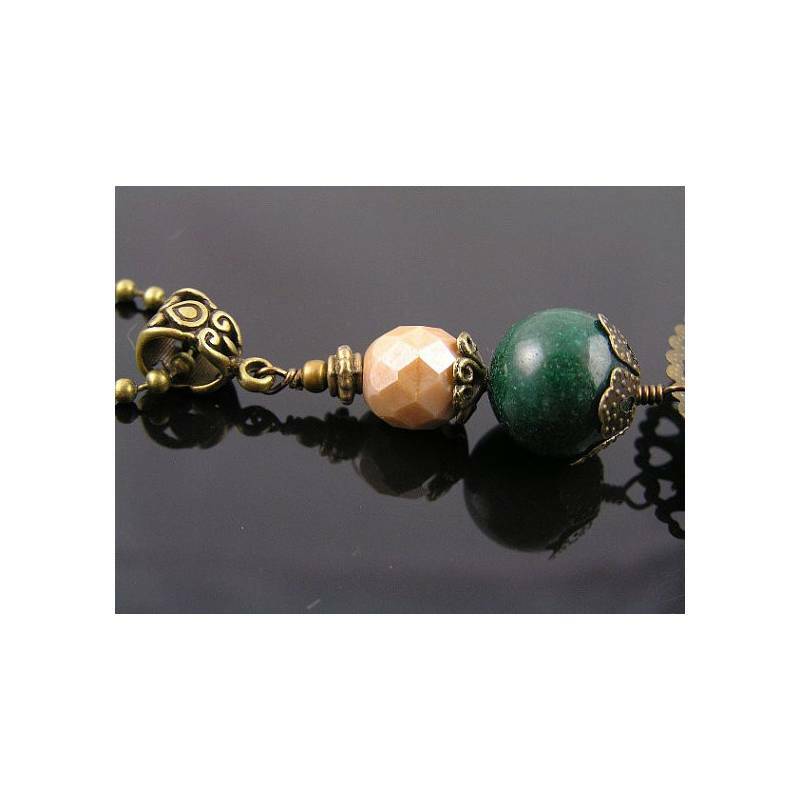 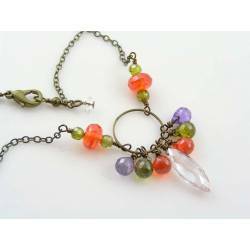 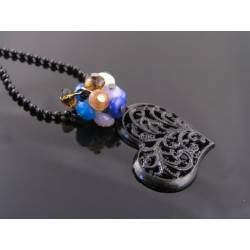 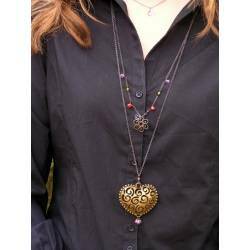 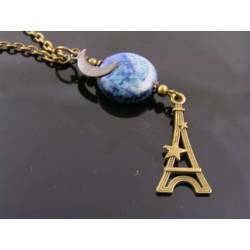 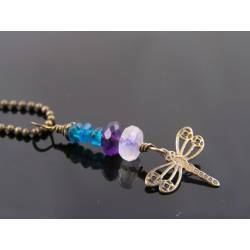 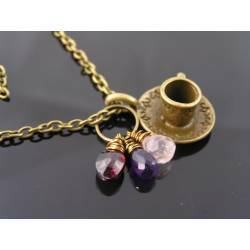 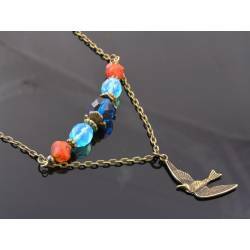 All beads are attached to an ornate bail to be worn with the included ball chain necklace. 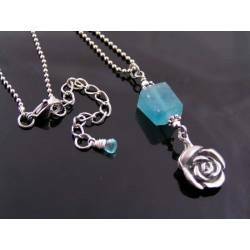 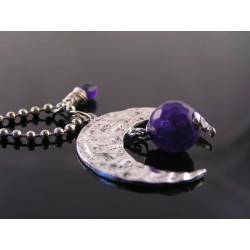 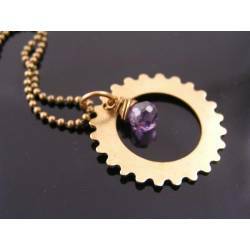 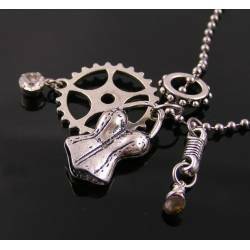 The chain measures 50cm in length and closes with a ball chain connector. 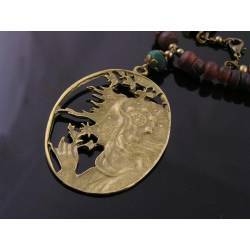 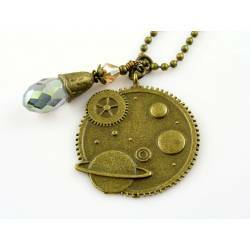 All metal parts are antique bronze finished.